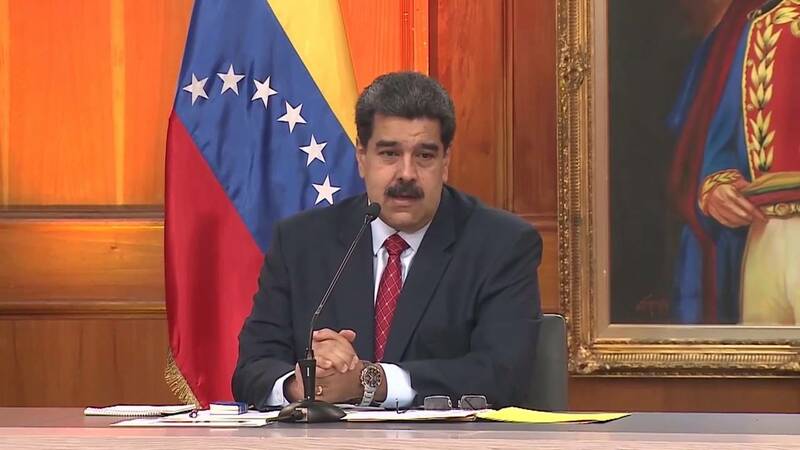 CARACAS - The United States strongly rejects offers from Mexico, Uruguay and the Vatican to mediate a dialogue between embattled Venezuelan President Nicolas Maduro and the head of the country's opposition-controlled congress, Juan Guaido. A senior U.S. administration official explicitly mentioned the three in a briefing Thursday and added that "we reject any talks of any type of efforts that would allow Maduro to maintain himself in power." The official repeated the U.S. government's position that Maduro is no longer the president of the country. Canada and many Latin American nations also have recognized Guaido as Venezuela's interim president, arguing that Maduro's re-election last May was invalid because his strongest opponents were barred from running. The U.S. official briefed reporters on the condition of not being quoted by name. Mexico and Uruguay announced Wednesday that they will hold an international conference Feb. 7 to discuss the Venezuela crisis. Both countries have not recognized Guaido as president.